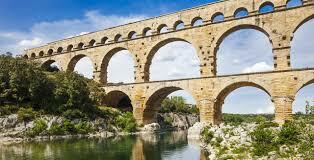 Complex deals: What can the Pont du Gard teach us about business partnerships? As a symbol of the Roman’s engineering prowess, the Pont du Gard, completed in 18 B.C., is protected today as a UNESCO World Heritage site. From its perfectly proportioned piers to its two tiers of symmetrical arches, the bridge reminds us of how detailed, innovative and organized the Romans were. Considering the century, the hierarchy of partners and players it took to collaborate and coordinate the design, engineering and construction is quite remarkable. Involved were Roman officials, architects, mathematicians, engineers, surveyors, militia and laborers. In the development of any relationship, timing is important – agreeing on vision, knowing when to question, when to listen, when to sell, when to push, when to step aside or when to just wait for better timing. When the business partnership involves more than two entities or a single transaction of assets and becomes complex with multiple partners each bringing a different value/asset to the collaboration, then timing becomes ultra critical. In fact, a chess game analogy and visual might have been more informative than the Pont du Gard, but let’s press forward anyway. Add to the mix both public and private partners and you now have a new level of politicking with which to contend as well. One such complex partnership comes to mind. The entire deal or project as it were, took more than two years of development. It began as a simple 1:1 entity discussion, but quickly expanded when the potential for greater value thru the combined efforts of both partners became apparent. You see, one partner represented a network of member organizations, which all shared similar challenges that could be solved by the services of the other original partner. The situation quickly went from a 1:1 relationship to a 1 to “many,” which is a great way to grow and scale a business, of course. However, creating a collaboration with more than two entities starts ratcheting up the cost and complexity factor. In this particular case study, the network partner wanted to broaden its reach and create more value for its members. So, it lobbied and invited support from new stakeholders who shared the same vision, including government agencies, to the collaboration table to help with the cost and sweeten the quality of the deliverable for everyone involved. Rather than the group of partners deciding to move forward together with a unified agreement however, each entity required its own set of terms which meant separate agreements. Based on political hierarchy, agreements ended up being staggered as one partner would wait for a more “senior” partner to sign off on the collaboration before committing. Eventually, with some of the key anchor agreements in place, the development of the collaboration began. This project remains in development as of this posting so I have no results to share with you today, except to say that while complex partnerships are a lot of work for all parties and take a lot more time and patience, a shared vision may be the single most important element – basically, it’s the glue that holds it together and propels it forward. Share a complex partnership you’ve experienced. To be clear, you do not have permission to take material from my blog and run it on yours. At what cost? What can the Tatara Bridge teach us about partnership building? Rebuilding: what can London Bridge teach us about partnerships? Collateral Damage: What can the Mostar Bridge teach us about business partnerships? Whose lens? What can Hell Gate Bridge teach us about partnerships?